Latest news leaks suggest that the Note 7 will come in three colors. It is hoped and rumored that the Note 7 will come some time during August of this year. The next Galaxy device in the Note series is the Note 7 and it is expected to come to the market within a short time. 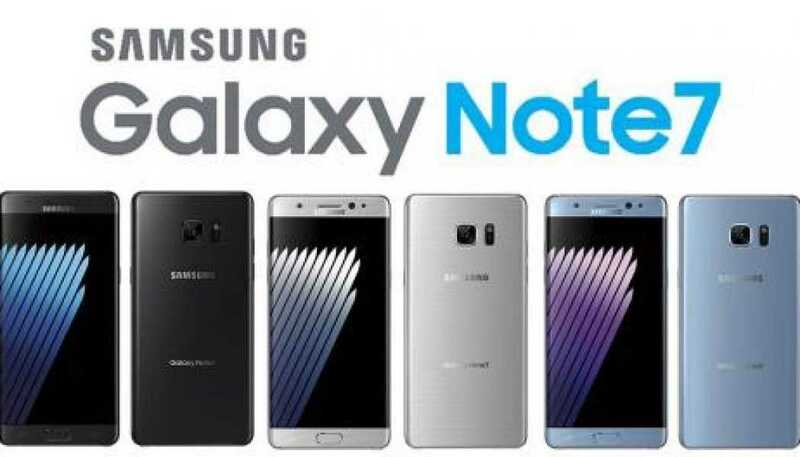 The name has been confirmed from several product logos that have been leaked, as Note 7 and not Note 6. There have been several renders of the Note 7 earlier and they suggested what the device would look like. Some more renders have been received, so fans of the device can drool over them. The renders show that the Note 7 will come in three differing color options. Popular leakster, Evan Blass @evleaks has leaked the renders in Twitter. They show that the three devices will come in a Black Onyx color and Silver Titanium along with a Blue Coral color. It is also rumored that the new Note 7 will come with a 5.8 inches screen. It is a curved screen using the Super, AMOLED technology. The RAM of the device has a capacity of 6 GB and the internal storage will be 64GB. This can be expanded using an SD card. As for the camera, there is a front selfie camera of 5 MP and another rear camera of 12 MP. The device will in all probability be certified with IP68, offering protection against dust as well as water immersion. The company is rumored to announce and launch the device during the unpacked event to take place on August 2nd this year. However, much ahead of this official launch, there have been several leaks about the phablet. The renders posted by Evan Blass suggest that it will come in three, color options. Apart from this, the images also give the view of the iris scanner placed in the front. This is completely in line with other rumors that came earlier. The new renders also confirm that the Note 7 will come with dual curved display. This is similar to the ones seen on the S7 Edge and the S6 Edge from Galaxy. There were also some earlier renders showing the front side of the device. They revealed that the phone comes with three lenses, in addition to the selfie camera. The lenses will be used in a combined manner for unlocking the phone. One lens is the lighting device directing the infrared light to the eye of the holder. The other lenses are used for capturing the eye image and comparing or matching them with the information or database on the device. This week seems to be one of big leaks in case of the Note 7. In the beginning, we got to know about the branding, and then the specifications list. Next, we could see what the TouchWiz user interface would look like. Now, we have been able to view renders of the phone itself.